The enclosed activity area incorporates three elements detailed below, these can be booked as an entire activity (half day) or as individual elements. 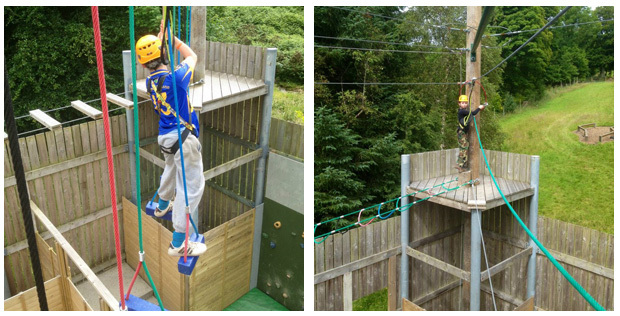 Challenge yourself to climb 30 feet to the top of the telegraph poles and overcome the obstacles set out for you. You will be attached to safety lines while you traverse the aerial obstacle course. 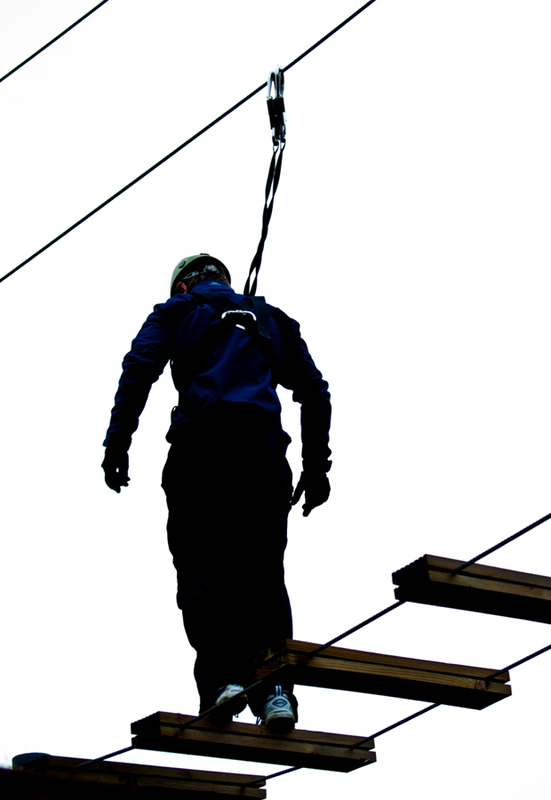 Even with a strong head for heights this activity is very challenging and adventurous.